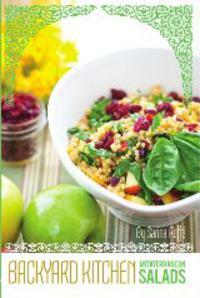 Sarina's Sephardic Cuisine - Kosher Family Recipes - Salads ahead of time? Salads are attractive with any meal. I often hear people complain that it is too much cutting or chopping at the last minute. I have learned that you can make a salad base a day ahead of time – no greens – and then add the greens before serving. So I will peel and dice the cucumber, radishes, peppers, celery, red onion, and scallion and store it for 2-3 days. They I just add the greens and tomatoes before serving. Since I serve many people, I can make a lot at once and have only one clean up. It makes my life easier and the salad base is useful when the kids are making salad for lunch as well. Since a lunch salad is a full meal and not a side dish, we might add feta cheese, an avocado, a hard-boiled egg and a boiled potato. By making the salad base – and anticipate salads for a 2-3 day period, we save on the work, as well as the mess and clean up.